"Bedrock geologic map of Maine" by Philip H. Osberg, Arthur M. Hussey II et al. 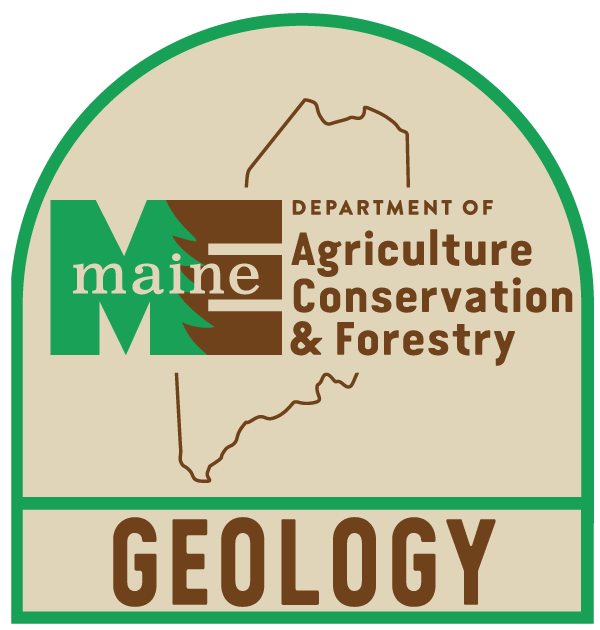 Maine Geological Survey. A 42" x 57", a color wall map showing the bedrock geology of Maine. Ages of rocks in color, lithologies differentiated by patterns, inset map of tectonic features, map of metamorphic zones, correlation chart, and extensive reference list.